Are you a chili lover? If you are, then you are going to love 600 Recipes For Chili Lovers! Inside you’ll find every imaginable version of chili. There’s chilies with beans and without, with meat and without, vegetarian chilies, and low-fat variations on the classic dish that so many Americans love. If you compete in chili competitions then you probably don’t need a chili cookbook, if you don’t then you need at least one good chili cookbook and that’s Chilli Recipes PLR a 600 Recipe book for Chili Lovers it’s a good one to have. 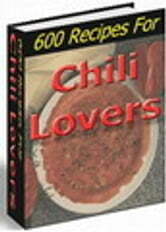 With over 600 chili recipes, there is a wide variety of selections to be found in 600 Recipes For Chili Lovers. Everything from classic recipes, to the latest restaurant and chili cook-off winners. You will find recipes for chili’s that use wild game such as venison, concoctions that use seafood, beanless varieties (as any Texan will tell you is the only way to make chili and those with beans. Quick chili’s and slow cooking thick chili’s (my favorites) will also be found. 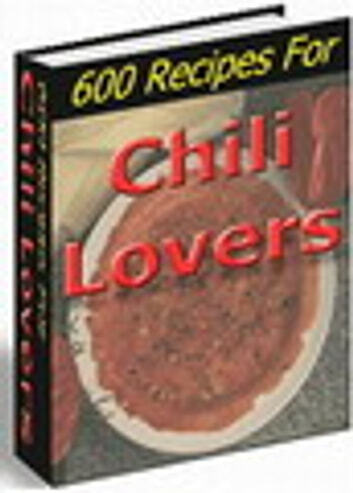 This is the perfect book for the everyone from the cautious beginner who wants to be sure of their success by following a good recipe to the more adventurous cook who will be inspired by all the recipes in 600 Recipes For Chili Lovers and will create their own unique variety of a classic “Bowl Of Red”. Sweet Desserts Recipes " Only Home Made "
Fats Won't Go Away Without Proper Nutrients!